If you're in the scooping business you have to put yourself out there sometimes. Nothing ventured, nothing gained the saying goes. And if you're Umberto Gonzalez of Latino Review you make your bones dropping blockbuster movie news. With a proven track record, Gonzalez's scoops have weight and his latest is a doozy. A sneak peek at the Batman V Superman trailer the very same morning as the Star Wars Celebration would be quite the coup. An hour head start on movie buzz could prove to be very valuable for fans who've been dying to see anything official from the movie. At 9 a.m. Pacific time you'll be able to catch five seconds of the trailer at director Zack Snyder's Twitter account with a chance to see the whole trailer on Monday. And in a no-brainer of a marketing move, Gonzalez also reports Warner Bros. is attaching the trailer to the sure-fire mega-hit Avengers: Age of Ultron two weeks earlier than reported. It had been reported earlier the BvS trailer was dropping for WB's Mad Max: Fury Road on May 15. 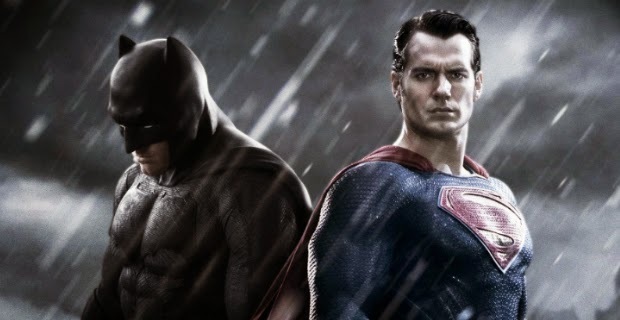 The move ensures many more audiences will get a glimpse of the Man of Steel and the Dark Knight before indulging in their Marvel movie fix. And if you're still skeptical, Collider has corroborated the story. It's still a rumor though until it happens, but we've got our fingers crossed. Between Batman V Superman and Star Wars, Thursday should be a smorgasbord of geek news for fans.